Meet our two newest sheep rescues. And meat is the fate these two narrowly escaped. Bottle raised and trusting of humans, these two were to be home slaughtered for ‘the freezer’, but luckily fate intervened twice. Firstly the person intending to slaughter them was physically unable to do so, and secondly that the advertisement selling them was spotted by a good Samaritan, who intervened and changed the outcome for these two. They arranged purchase and for them to come to Honey’s Pledge for rehabilitation. As the mercury rises, and summer is set to hit, we were luckily able to collect them today. Not knowing what fate held in store they arrived on the float, looking scared and unsure. We spoke to them assuring them that they were safe for harm and we could be trusted. 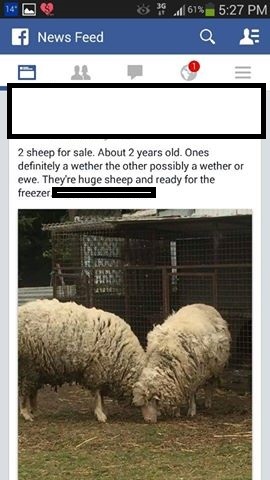 Both are desperately in need of shearing. They have obviously never been shorn and they have a huge amount of ‘dags’ making them very prone to flystrike. For now we have them yarded with access to deep shade and lots of water, and as soon as we can arrange, our shearer will be over to relieve them of their heavy and hot fleeces, attend to parasite control, feet trimming and we will check them for any other immediate care needed. For now both are resting in the shade, taking in their new surroundings.